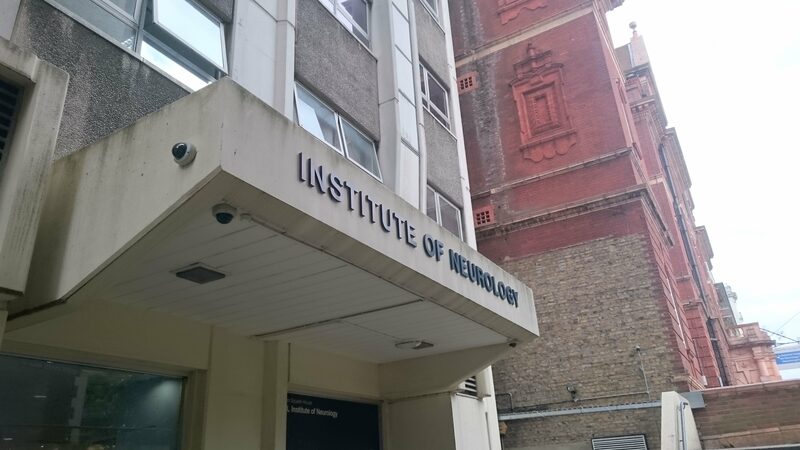 For two days, I visited a lab researching stem cell treatment of spinal cord injury at UCL’s Institute of Neurology. I was welcomed by the team and presented their project in detail. They explained to me their successful clinical trial, which led to a paralysed man regaining motor and sensory function, as well as their new aims in perfecting the technique for further trials. I was also taken for a tour of the lab (including the animal testing zone) and given demonstrations of the specific techniques they use for the project. This experience gave me a real, hands-on insight into where exactly the charity’s money goes when it funds research groups. Having returned to the office, I began planning and designing the charity’s newsletter. This involved deciding on relevant articles and presenting them in a format that was easy on the eye. I particularly enjoyed this due to it allowing me to be more creative. In addition, I am helping with the redevelopment of the charity’s website, which we feel is in need of improvement. Although my internship at the UK Stem Cell Foundation has finished, I will in fact continued working for the charity in a temporary position. I am very happy to have the opportunity to continue the work that I started during my internship. In particular, I hope to use the database of contacts that I developed during the early stages of my internship, as the opening of the Centre of Regenerative Medicine was unfortunately delayed. Having the opportunity to work in areas such as website design and the production of the newsletter is also a great way to leave a lasting mark at the charity before I have to leave. I am very thankful to the team at UKSCF for their help and support, and for giving me the opportunities and level of responsibility that they did. The Charity Insights programme has given me the opportunity to gain experience in a commercial environment (which I lacked before now), the platform to apply the skills and knowledge that I have gained during my time at Imperial and prepared me for the big decisions coming my way over the next year or so. Working for a charity is of course rewarding, as you feel you are making a difference and genuinely helping people (particularly at a charity such as UKSCF where the treatments they help to develop will change lives). However, it is also a true business setting and relies on everyone giving 100% and performing their work as efficiently as possible to ensure that as much of the money raised as possible is going to where it is needed. For these reasons, I believe that it has prepared me very well for applying for jobs in whichever area I decide I would like to go into – quite possibly a charity. So finally, I would definitely recommend the programme to anyone thinking about it in the coming years, and I thank Imperial and the careers team for this opportunity. Communication skills – especially in terms of addressing people’s queries by letter. Application of stem cell research.